If night 2 was a survey of different Grateful Dead eras, choice covers, and a classic Phil and Friends segue-heavy show, night 3 was the much ‘purer’ night of Grateful Dead music. The focus of the night was on 60s and early 70s material, with nearly every song drawn from the pre-1972 Grateful Dead songbook and only one outside-the-box cover in Layla. While the setlist may have been more straight down the fairway on night 3, the intensity and precision of the music continued to be at its highest, with Warren and Scofield most notably finding harmony and cohesion even more than in past nights. The highlight of the night was an absolutely barn-burner set 2 opening sequence of Stephen->Eleven that featured an out-of-this-world hot bass solo from Phil and silky smooth segue into a raging Eleven. What a night and what a way to end a great run with a bang, enjoy setlist and downloads below. Also, see my previous review from night 2 which now has downloads available as well. Thanks Phil (and friends), for a real good time! Phil and his newly resurrected ensemble of friends stormed the 1st Bank Center last night with an onslaught of inspired music, keeping up the energy and love of what is turning out to be a seriously triumphant, and dare i say ‘Epic’, weekend run. The lot was abuzz with an old school vibe and energy not felt in years before the show last night, and some pre-show snowflakes and crisp air set the stage beautifully for a magical night of music. Everyone brought their A-Game, and it is clear this band has quickly found a groove and a way to highlight each member – a significant challenge given the many big musical voices on stage. The show itself was a true testament to the dripping psychedelic musical exploration that only comes from Phil’s ‘make something happen, play in the moment’ Phil and Friends ensembles. The setlist read like a dream, with two quintessential Beatles songs in each set that served as the musical exclamation points on the night. Each member shined at different moments throughout the show. Scofield was other-worldly on a smoking and unexpected first set Eyes of the World, while Jackie Greene surprised everyone in the room with an out of left field top notch performance of his original Like a Ball and Chain. Warren led the band through an absolute smoker of She Said, She Said, while Russo and Chimenti were the glue that held the express train together at every twist and turn. And of course, Mr. Lesh, was inspired and full of love and smiles throughout, especially during the later part of the second during the patchwork quilt of Dark Star, Unbroken Chain, and Morning Dew. What was even more impressive than each member’s individual contributions, was the tightness of cohesiveness of the band had with each other. 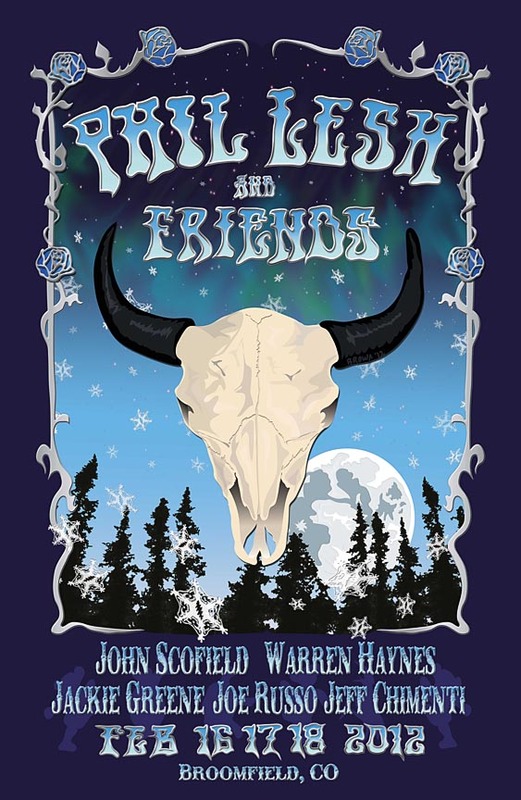 There was countless moments of locked-in cosmic interplay and between the band, especially between Warren, Sco, and Chimenti. Ah, Saturday afternoon. 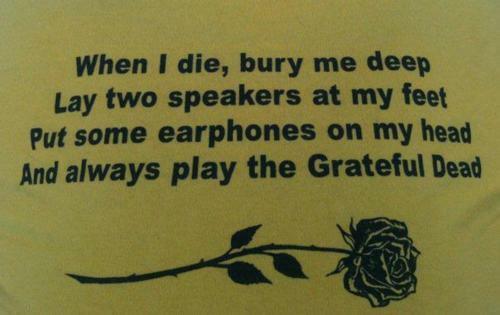 A glorious time to kick back and listen to the good ol’ Grateful Dead. 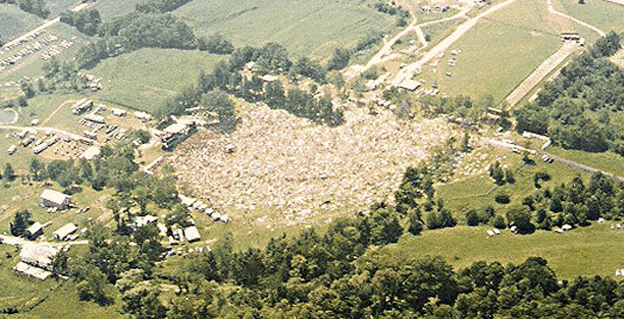 Let’s rewind to 1978 and dig on this classic, tripped out show from fall tour in Springfield, MA. The boys are definitely ‘loose’ on this evening, rumored to have taken high doses of peyote or a similar psychedelic. Whatever they’re on, their playing is ON and inspired, albeit with some comical elements added in. Check out the out there Dancin’ In The Streets and the tribal, smoking Scarlet- > Fire set 2 opener. This show is full of fun and surprises and doesn’t read like your average 78′ show. The band brings back some of the more raw energy of their 60s sound mixed with their late 70s precision and catalog and fuses together a truly unique show here. Welcome To Now fans – use the link on the left side of the page to like us on Facebook to keep tabs on all the latest and greatest including exclusive Facebook content that won’t all be here on the main blog! 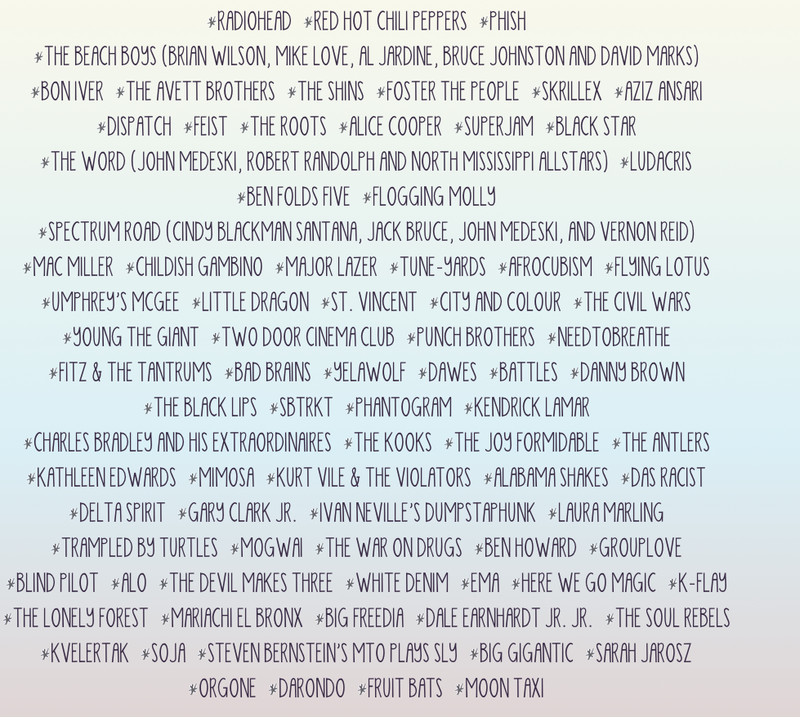 We’ll give away a musical treat to our 50th fan! Hey y’all. We are sick with Phil fever over here at WTN, getting excited for the upcoming Broomfield run. 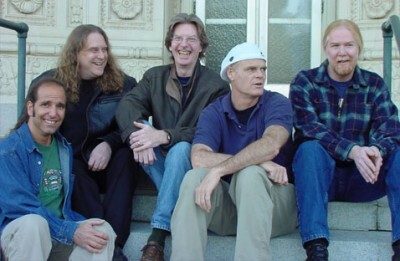 And there’s only one cure for that fever, it’s the sweet sounds of ‘The Q’ – Phil’s early 2000s version of Phil Lesh and Friends featuring Warren Haynes, Jimmy Herring, John Molo, and Rob Barraco. 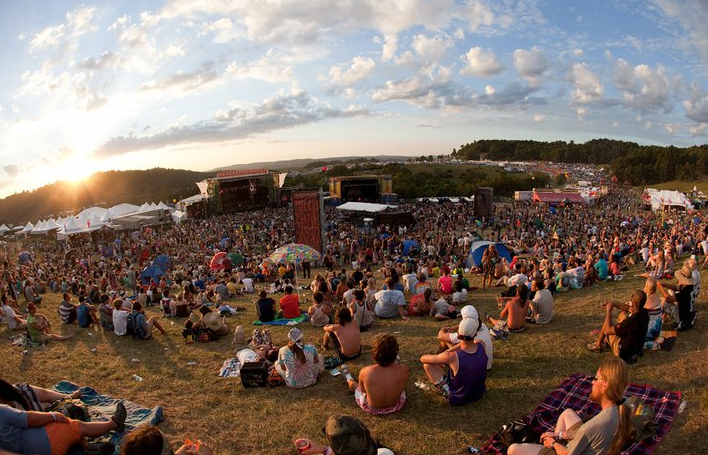 Widely regarded as the most successful post-Jerry Dead band, and for good reason, this band truly smokes. A term I keep coming back to when listening to them is ‘musical density’ — there is a lot of great music being made here, with tons of on the spot composition, interplay, and dripping psychedelic guitar work. 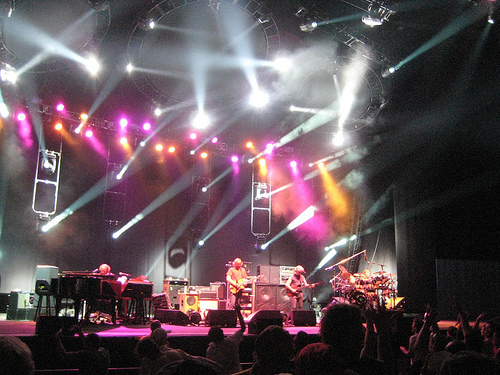 I want to feature one of my favorite ‘Q’ shows ever here on WTN today: from summer 2001 tour, this epic show went down at The Meadows Music Center in Hartford, CT on July 21st. 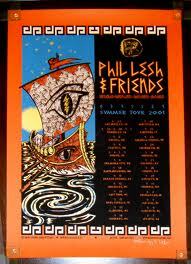 Stops on this tour were Ratdog/Phil and Friends double headers, with the bands switching off headline duties. 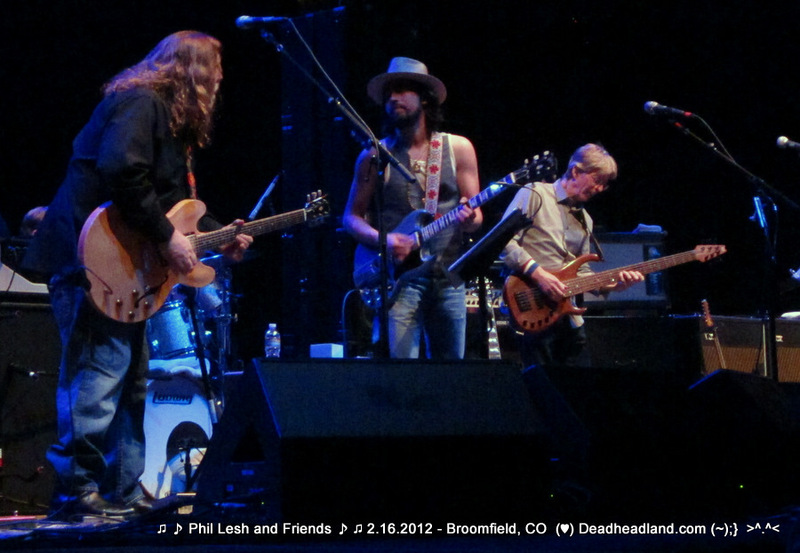 On this special night, after a warmup set from Weir and Ratdog, Phil and Friends play a 2 set smokefest with a dream second set and fun, bluesy first set with a Weir cameo taboot. Check out the full setlist below, and also feel free to stream the show over at Archive or download a great AUD version I’ve uploaded with all the songs tracked out. Enjoy folks!